With the digital transformation, the manufacturing industry is evolving rapidly as more and more companies understand the benefits of connecting their factories all over the world. With new technology and information changing quickly, manufacturers need to keep each other informed on new developments.1 There are number of innovations and technological advancements that are driving the industry to digitize. Here we examine the six biggest. The Industrial Internet of Things is a complex concept and a big challenge as it involves connecting everything within the company. Programming and integrating everything to work together makes the factories smarter, more efficient and more productive. With billions of connected devices, open platforms are key to making the integration easy. This connectivity gives us access to more information than we’ve ever had before. With this view, managers can determine the most cost effective path or factory to produce certain items. If there is a rush to manufacture certain products to make them available to customers, they can determine which plant can produce them the fastest. Many of the traditional factory jobs are now being done by robots. Robots are programmed to perform a task which it can repeat with the same precision. Managers can remotely monitor the robots’ performance and access progress reports, as well as make changes to its programming. Automating these tasks improves the efficiency and productivity of the factory because the robots can perform for longer periods of time and with more consistency and accuracy than humans. The skills the workers now need are to program the robots and to analyze and understand the data that is collected on the robots’ performance. Technology continues to improve making the robots more accurate and efficient. It can speed up testing, including producing prototypes faster. This in turn helps to get products to customers more quickly. The number of materials that can be used in 3D printing continues to grow and offer new capabilities. Also, new advancements and technologies continue to improve the speed and quality of the 3D printed objects. These are the key factors that will expand the use of 3D printing in the future. This is one of the key next steps for the future. Augmented reality elevates the complexity of products and services by increasing accuracy and can lead to the development of new hybrid technologies.4 Augmented Reality display can also overlay information and graphics over the work they are doing with detailed instructions. Most manufacturers already have devices to share info between machines through glasses, tablets or other devices. Workers can access useful information about the specific machine they’re working on at the time they need it. They can pull up online instruction manuals and videos to help them learn how to use the machine or work through a problem on the spot. Prices for the innovations and tools are coming down. Most governments are willing and prepared to help companies. New managers understand digital and are ready to implement the cultural change in their companies. Through the innovations above, factories are entering into the digital world to be more efficient and productive. The connected view and the access to data are bringing about new possibilities. Even smaller companies that don’t have capabilities for all of these innovations are exploring partnerships with other businesses that may have complementary skills to help them make the transition. Those that master these new skills will lead their spaces and have an advantage over competitors. Factories that continue to wait may find themselves too far behind. 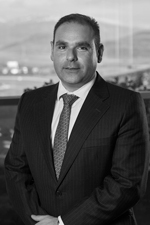 Alberto Martinez is CEO of Lantek, a leading company in the development, commercialization and integration of management software solutions (CAD/CAM, MES, ERP, Advanced Manufacturing) for the global sheet metal industry. Martinez teaches mechanical engineering and Business Administration to Masters students at Industrial Engineers University of Bilbao (2012 – 2017) and Deusto University of Bilbao (2014 – 2017).